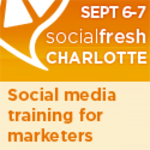 If the only thing you experience is Peter Shankman slapping social media gurus upside the head and bringing a modicum of common sense to the practice, then you will have received your money's worth at SocialFresh Charlotte. Shankman will keynote the day and a half conference September 6-7. Apart from Shankman, you'll hear from Hubspot's Jeanne Hopkins, Webtrends' Justin Kistner, Radian6's David Thomas and many others speak on topics such as integrating social media with email marketing, creating content for inbound marketing, how to best train employees about social media and much more. We're happily sponsoring th event. Check out the details here. If you register, and you should, use discount code "adrants" for 20 percent off. This year, the organization has expanded to encompass 15 entering categories and a further four jury/voting categories. There will also be an Awards Gala Dinner. The deadline for entries, August 5, is fast approaching. Find out more information here. Creatives Rejoice! Every Award Show on One Calendar! In a nod to the beginning of the new awards year, RKCR/Y&R has launched new site that will insure agencies and creatives never miss an awards deadline. 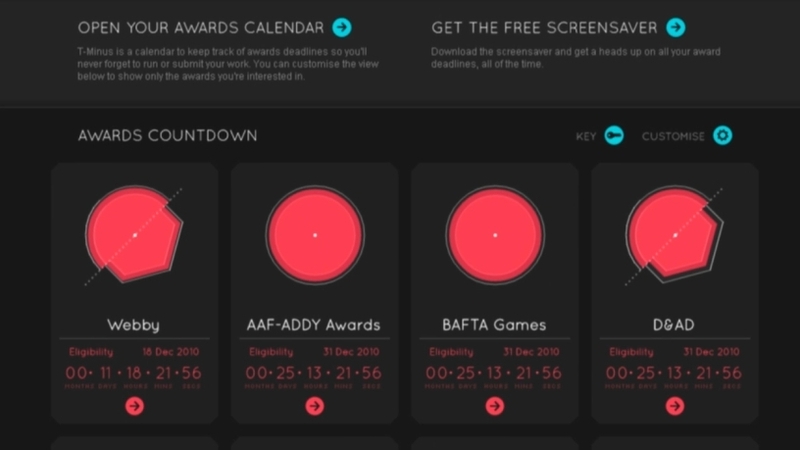 The free service, called T-Minus, has been developed to help creatives around the world keep track of up upcoming awards deadlines, allowing agencies to plan getting their projects out of the door on time. From August 21-23, 4,000 affiliate marketers will descend upon New York city for the three day Affiliate Summit East conference. The event will be held at the Hilton and, apart from the conference, there will be plenty or parties to attend. Affiliate Ball, which has held several events at ad:tech and other Affiliate Summits, will, again, bring the thunder. 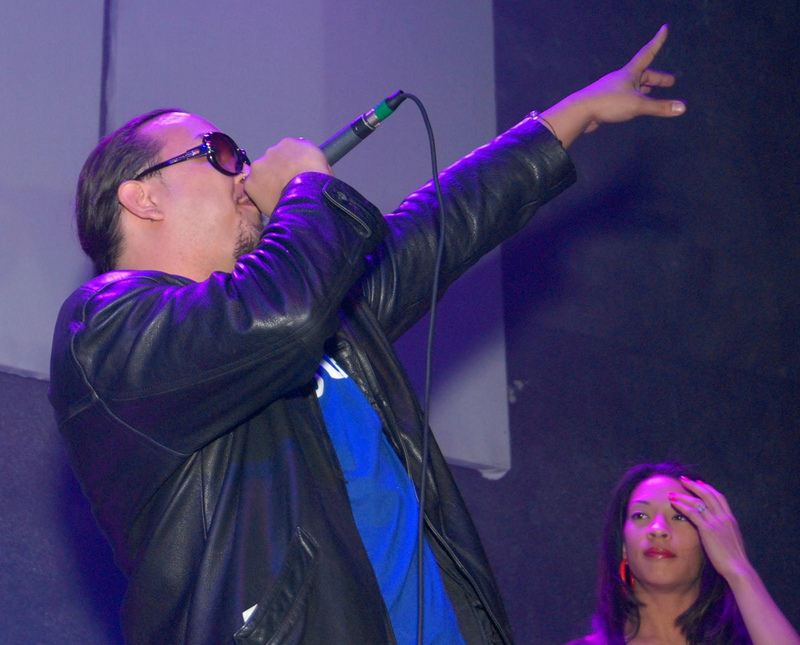 The last Affiliate Summit West Affiliate Ball had Three 6 Mafia perform and the last ad:tech Affiliate Ball (called Marketers Ball when at ad:tech) had Digital Underground with Too Short. For the upcoming Affiliate Summit east Affiliate Ball, plans are in place to have Doug E Fresh. We like this Kia ad. The Cannes press Lions jury liked this ad. They liked it so much they awarded it a Silver Lion. The ad pimps Kia's dual zone air conditioning with alternating cartoon images of a clean cut classroom scenario and a classroom scenario that is decidedly less clean cut. It got the point across if in a very twisted manner. You can have it your way riding in a Kia. Just like a horny teacher whose mind wanders in the classroom. Twisted but it gets the point across. The problem is the ad never ran. And that's a no-no when it comes ti winning a Lion. Or any award for that matter. Kia disavows the ad and has said it never ran and was never approved. Just back from Cannes. We'll be catching up on things this week and then publishing lightly next week during the July 4th week. But, in this business, life goes on and new conferences and awards show pop up all the time so it was without surprise we found this item in our inbox today. Not to mention the fact we know it was coming up as Adrants is a media sponsor and we'll be sitting on the judging panel as well. 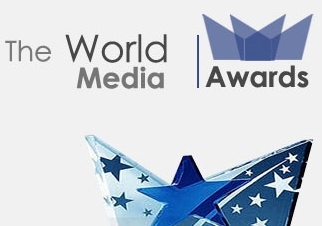 On October 26, the World Media Awards and Event (yea, it's an ambitious title) will take place. It will celebrate the best in blogging and media creation as well as offer an opportunity to exchange publishing's best practices. Attendees will learn how to use the latest technologies and techniques to improve their publishing practices through a series of practical workshops hosted industry leading publishers. On Saturday night in Cannes, the final Lions were handed out. You can read all about that here. It as a long ceremony. Longer than it should have been according to those with whom we spoke. There's the feeling Cannes Lions is doing a wee bit of gouging to up revenues by adding additional category after category. We'll let others debate that because this is a happy place and we like to talk about happy things. Speaking of happy, the Lions Closing Gala was held Saturday night following the Awards ceremony. As with the Opening Gala, the event was help at Carlton Beach. It was the usual lavish affair with more food than anyone in attendance could possibly have eaten. And there was the wonderment of being together for the last time with close friends and those met just this week. At the Gala, there were the annual fireworks which were spectacular enough to be categorized as Jul4th-quality by some. Fireworks then gave way to dancing and dancing gave way to, well, use your imagination. The infamous Tractor party was held last night as well and by the looks of the door (yes, it was just about the only party all week we didn't get into) it was the sort of party where the personal bubble is immediately popped and one's personal space becomes everyone's space. In other words, a sweat fest. Taking home the Film Grand Prix at this year's Cannes Lions Festival of Creativity is Wieden + Kennedy for Nike Write the Future. The work portrays the dramatic changes the world undergoes as a result of sporting wins and loses and parlays that into Nike place is helping athletes write their own future. The three minute film directed by Hollywood director and producer Alejandro G. Iarritu (21 Grams, Babel), features Cristiano Ronaldo, Didier Drogba, Wayne Rooney, Fabio Cannavaro, Franck Ribery, Andres Iniesta, Cesc Fabregas, Theo Walcott, Patrice Evra, Gerard Pique, Ronaldinho, Landon Donovan, Tim Howard and Thiago Silva as well as cameos by tennis legend Roger Federer, basketball's Kobe Bryant and Homer Simpson. The work recently won a Black Cube in Advertising at the Art Director's Club 90th Annual Award Gala. W+K also won a Gold Lion for Heineken Entrance and Chrysler Born of Fire (which we loved). 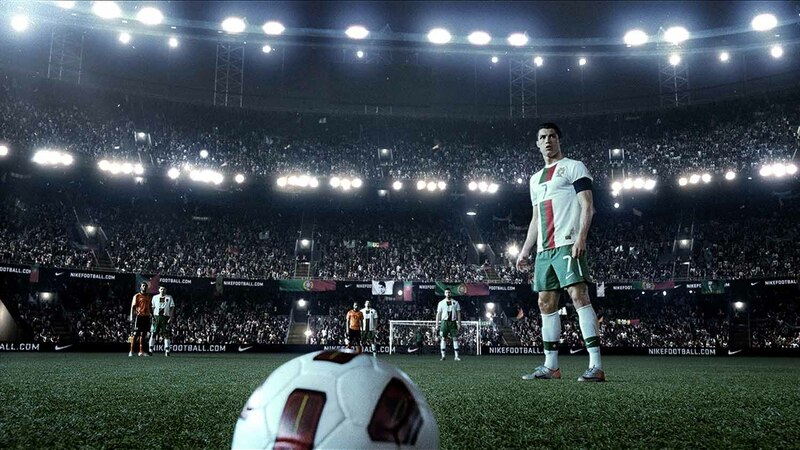 Droga5 won a Film Gold Lion for Puma After Hours Athlete. Deutsch won for Volkswagen Force, BBH won for Google Chrome Speed Tests, Johannes Leonardo won for Google Demo Slam: Chubby Bunny, Realtime Karaoke, Extra Spicy, 66 and Rushmore The full list of Film Lions winners is here. The last session of the Cannes Lions this year was (maybe aptly) titled "Monkey See." Led by Elizabeth Kiehner and Nick Buttrick, it covered a project between Yale students and ad creatives to advertise to monkeys. The goal is best encapsulated by Frans de Waal: "To endow animals with human emotions has long been a scientific taboo. But if we do not, we risk missing something fundamental, about both animals and us." Science has found we're 95-98.5% identical to chimpanzees. 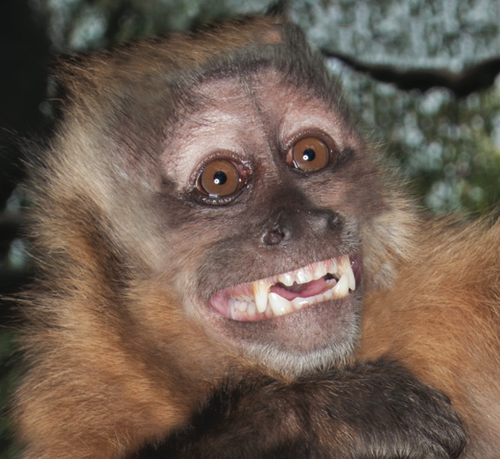 And a place called the Comparative Cognition Laboratory has for the last six years been running something called the Monkey Marketplace, which has taught capuchin monkeys how to live with money and exchange it for things that they want every day. At Cannes International Festival of Creativity today, Publicis Chairman and CEO Maurice Levy sat down with Nestle CEO Paul Bulcke to discuss a number of topics. In terms of managing a large brand globally, Bulcke, not unlike the head of any other global company might say, said the brand's essence is developed globally and executed locally. And for a brand with 118 different flavors of Nescafe - each designed to appeal to differing taste senses around the globe - local execution becomes very important.